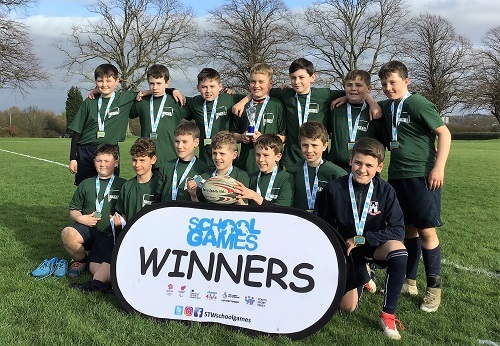 Bridgnorth Endowed’s Under 12 rugby team triumphed at the School Games County Finals held at Wrekin College on Thursday 21st March. After six games, the boys were neck and neck with Lacon Childe but, following a nail-biting try count, they went on to claim the title. The result was a reflection of their attacking flair and determination in defence. A standout moment in the match saw the whole team moving the ball down the right wing before changing the point of attack and scoring in the left-hand corner. Special congratulations go to Henry Gibbons and Rhys Handley, who scored their first tries for the school. Previous PostPrevious Review: High School Musical on Stage!